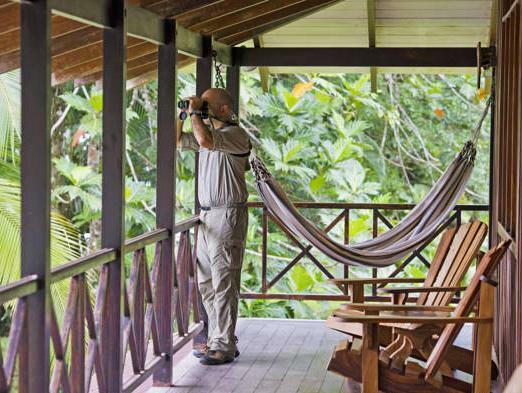 ﻿ Best Price on Tortuga Lodge & Gardens in Tortuguero + Reviews! Set on a riverbank and surrounded by jungle, Tortuga Lodge & Gardens offers an outdoor pool, free Wi-Fi and a restaurant serving fusion cuisine with Caribbean flavors. All rooms have river views. À la carte breakfast included in rate. 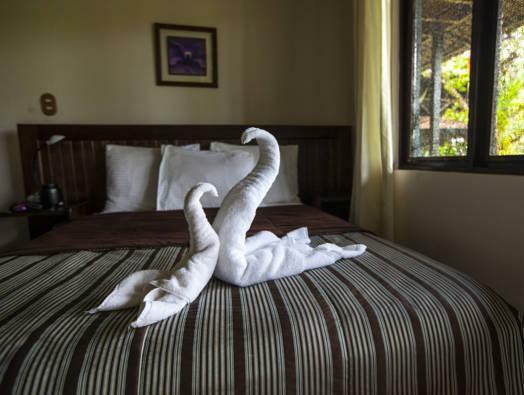 All rooms have screen windows, ceiling fans and a private bathroom with a hairdryer and toiletries. The front desk can help arrange kayaking and sports fishing trips and visits to local villages and nearby turtle nesting sites when in season. 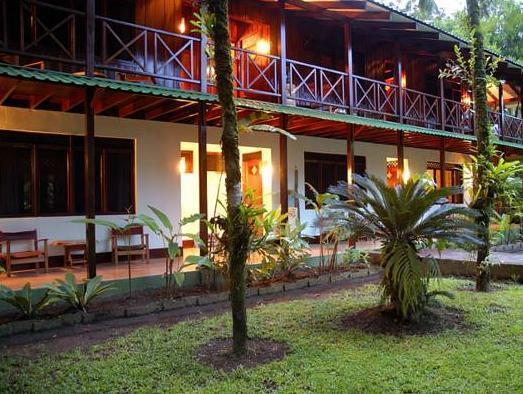 Tortuguero Airport is located just across the river from Tortuga Lodge, and San José is a 30-minute flight away. The nearest town is a 10-minute boat ride away. Please let Tortuga Lodge & Gardens know your expected arrival time at least 3 days in advance. You can use the Special Requests box when booking or contact the property using the contact details found on your booking confirmation. Please note that the reception is closed from 22:00 until 06:00. It is not possible to check in outside the normal reception opening times. Due to its secluded location on a river bank, Tortuga Lodge & Gardens can only by accessed by a combination of ground transportation and boat rides. Guests can also arrive to the site through a domestic flight. The nearest town is a 10-minute boat ride away. ! Up to two children under 10 stay free when sharing a room with parents and using existing beds. Rooms accommodate a maximum of 4 people total including adults and children. Please inform the property how many children will be arriving to assign you the correct room. All older children and adults are charged USD 40 per person per night. 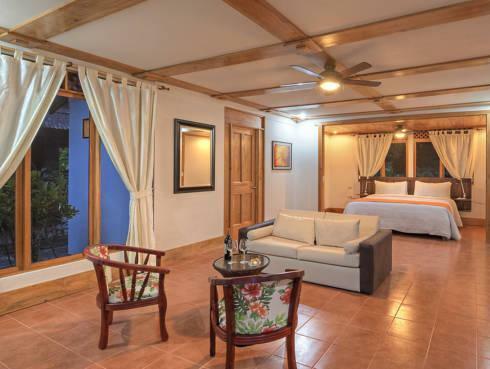 Rooms accommodate a maximum of 4 people total including adults and children. One additional bed can be added to some rooms. This additional bed is added so that two kids don’t have to share a double bed. Even with the additional bed, rooms are for a maximum of 4 people. Additional fees are not calculated automatically in the total cost and will have to be paid separately during your stay. KEEP IN MIND THAT AFTER 4PM THERE ARE NO PUBLIC NOR PRIVATE BOATS AT LA PAVONA DOCK TOWARDS TORTUGUERO, PLEASE CALL US BEFORE YOU BEGIN TRANSIT TOWARDS TORTUGUERO. Guests are required to show a photo ID and credit card upon check-in. Please note that all Special Requests are subject to availability and additional charges may apply. We loved this hotel, but it is a little boatride outside the village. That can be an inconvenience when you just want to go to a shop. The free Tour in the harden was Nice, with Roy the guide. The food in the hotel is really good.